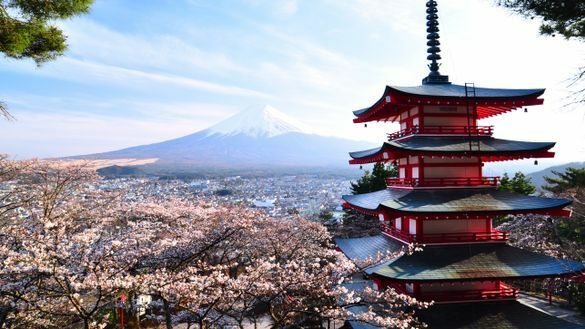 In March 2019, Ecruising’s new itinerary will see travellers set sail on a 14-night cruise and embark on a 7-night escorted land tour around Japan. Exploring the best of the unique city, during the trip travellers will get to experience Japan’s popular Cherry Blossom season and world famous Zen gardens. Starting in Hong Kong, guests will enjoy one night accommodation at the Marco Polo Hong Kong Hotel. From there, they will be transferred to Kai Tak Cruise Terminal to embark on the 22-night journey from Hong Kong to Japan onboard Holland America’s ms Westerdam. Cruising a curated path through Shanghai, Qingdao, Tianjin, Nagasaki and Kagoshima, guests will arrive in Yokohama, Japan on 31st March. In Yokohama, travellers will explore the city via a half-day tour, visiting Tokyo’s Meiji Jingu Shrine and experiencing the Harajuku youth culture along the famous Takeshita-dori street. Taking in the sights, guests will then travel to Roppongi, a unique location that delivers uninterrupted, sweeping views of the city from 52 floors up at the Tokyo City View Observatory. Continuing to explore Japan’s unique landscape, guests will take a trip to Mt Fuji, take a stroll on the Ochudo trail, a trip to Kawaguchiko Natural Living Centre and visit Lake Kawaguchi. Next stop will be the Kubota Itchiku Art Museum, home to the renowned Kimono Collection by legendary Kimono designer, Itchiku Kubota. On their third day in Tokyo, guests can explore the city at their leisure before heading off to Kyoto via bullet train. With 4 nights in Kyoto, this portion of the trip includes escorted land tours and a full day visit to Osaka. Discovering ‘Zen’, the first destination in Kyoto is the Kinkakuji temple in northern Kyoto. With two floors covered in gold lead, it’s a notorious Zen temple, a popular spot with both locals and visitors from around the world. Ryoanji Temple is next on the list and is most famous for it’s dry landscape garden that spans 25 meters wide, a masterpiece of Japanese culture. Diving into Japan’s rich history, following Ryoanji, guests will visit Nijo Castle. Before heading back to Australia on 7th April 2019, guests will spend the day in Osaka, taking a guided tour around Osaka Castle, Umeda Sky Building and it’s floating garden and downtown Osaka. Prices start from $8,599 per person for a 17 March departure.2019. *subject to availability, terms and conditions apply.